Which marketing channels are most effective at reaching decision-makers? Which of those channels deliver the highest return on investment? Which marketing channels work better in synergy with each other? What’s the best marketing mix for your goals and budget? Is social media effective for B2B marketing? Are analysts worth the investment? What about trade shows? What’s the best way to reach those decision-makers? If you’ve asked yourself any of these questions, this research report is for you. As an agency, our goal is to unwaveringly map marketing to sales. To that end, we sought to conduct research that would help B2B marketers achieve that while answering the questions above and more in the process. We partnered with research firm, Researchscape, and surveyed more than 500 executives who are involved in the decision-making process across the IT, finance, operations and marketing functions at large and mid-sized companies to understand how they consume media, assess vendors, and, most importantly, which marketing channels most effectively influence them during the buying process. 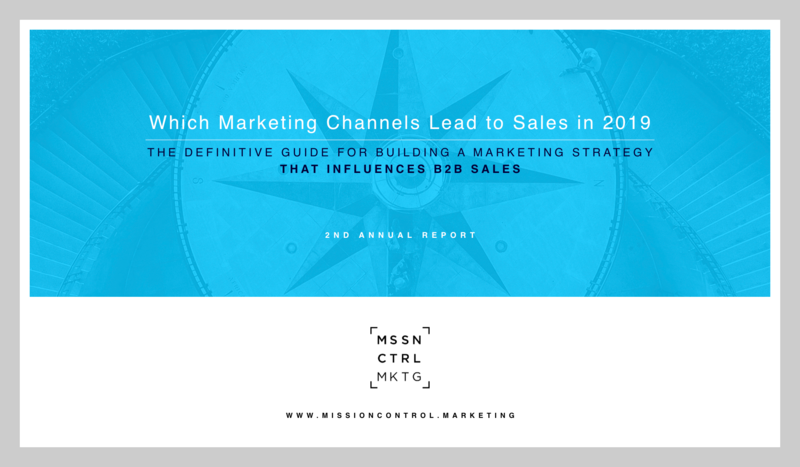 We conducted this study to make it easier for B2B marketers to strategically reach decision-makers at the right companies at the right time, and we’re sharing our finding in this downloadable research report. Our goal is to make sure you’re A) included in the RFP and B) are in the best position to within the field of vendors to win the business. This research report shares results and insights for aggregate data across all functions. If you’re interested in finding out how to reach executives specifically in the marketing, finance, IT or operations segments, or have any questions or comments, please complete the form.